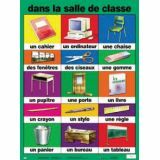 It conatins units on: Number Sense,Patterns and Algebra,Geometry,Measurement,Probability and Data Management in French language. Grade 1. Paperback. 208 pages. Sébastien and Félix are competing against each other to see who will catch the most snowflakes on their tongue. 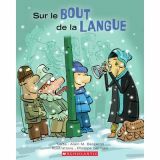 Twenty snowflakes land on Sébastien's, but as he's about to catch the 21st one, his tongue lands on… a frozen metal pole! How will Sébastien get out of this sticky situation? PreK and up. Paperback. 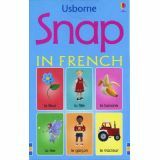 Snap in French is an easy, fun, fast-paced game for two or more players. 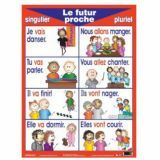 It is a great way for young children to learn simple French words and to develop important matching and reading skills.Physical Dimensions: 3.38" x 5.13". 50 pages. Paperback. "Hands are not for hitting. Hands are for saying hello..." And for playing, creating, helping, working, learning, encouraging, taking care of oneself, and so many more good things. Presents charming illustrations along with the encouraging messages. Made to be read aloud, Hands Are Not for Hitting also includes a special section for adults, with ideas for things to talk about and activities to do together. PreK–Grade 3. Paperback. Ideal for drills, games, evaluation! 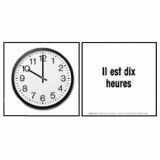 Set of 36—6”x 6” (15 cm x 15 cm) flashcards. Pictures on one side, names on the reverse. 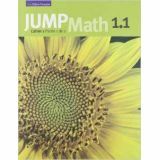 Targeted at grades 1-3. This workbook focuses on important, curriculum-based health topics such as nutrition, physical activity, and personal safety. 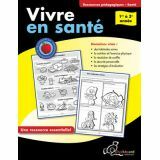 Engage children with these must-have, reproducible French activities including self-assessments. Paperback. 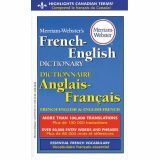 More than 80,000 entries and 100,000 translations. 804 pages. Les petits livres coussinés Touche à tout sont parfaits pour les petites mains. Les photos, les couleurs et les textures attireront l'attention des petits esprits vifs. 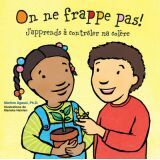 Ces livres permettent de stimuler le développement du langage, d'exercer la coordination oeil-main et de favoriser les interactions adulte-enfant. Les tout-petits adoreront tourner les pages de ce livre tout carton avec des zones texturées. 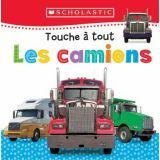 Ils seront captivés par les différentes textures sur chaque page et découvriront des camions de toutes sortes! Infant–PreK. Boardbook. 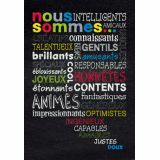 "We are... responsible, good/fine, talented, brilliant/bright, content/happy, funny/fun, friendly, smart, happy/joyous, lovely/kindhearted, fair, optimistic, fantastic...". Measures 13⅜" x 19". Si un petit être affamé vient chez vous, vous lui donnerez sûrement un biscuit. Si vous lui donnez un biscuit, il demandera un verre de lait. Puis, il voudra se regarder dans un miroir pour vérifier s'il n'a pas de moustaches de lait et il vous demandera une paire de ciseaux pour se rafraîchir la moustache... 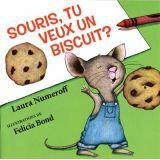 Le fait de donner un biscuit à cette souris énergique épuisera son jeune hôte, mais les jeunes lecteurs s'amuseront des multiples demandes faites par cette souris tout au long de l'histoire. Paperback.